Although the federal minimum wage for tipped positions is at just $2.13 per hour as of 2012, and there are many low-traffic bars where the addition of tips just barely brings a employees above minimum wage, there are also places where a bartender can make a decent living with good benefits. Service Jobs are often looked at as low-wage employment without benefits, and that certainly describes many of these positions. On the other hand, if there are tips involved, and if the jobs are in an industry with high profit margins, the overall compensation package can be better than is commonly assumed. Take bartending, for example. Although the federal minimum wage for tipped positions is at just $2.13 per hour as of 2012, and there are many low-traffic bars where the addition of tips just barely brings a employees above minimum wage, there are also places where a bartender can make a decent living with good benefits. Michael Kopczynski, who has worked a variety of bartending jobs over the years, has made as much as $760 in a day when he was serving drinks at one of Jimmy Buffet's Margaritaville restaurants. He worked a double-shift in that case, but he was still paid over $50 per hour for those fifteen hours behind the bar. And, he tells us, he had Blue Cross health insurance with a decent dental plan, paid vacation time, and as he puts it, "one of the best 401K plans that I have ever seen." 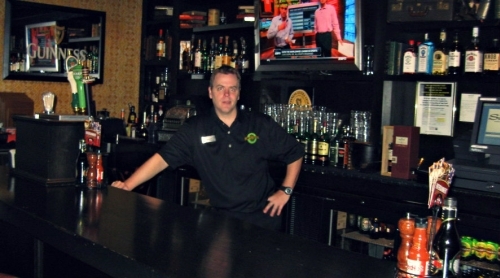 Currently Kopczynski is employed by the Sands Casino Resort in Bethlehem, Pennsylvania, where he works in the St. James Gate Irish Pub and Carvery. As pointed out in a previous post about tipped positions, the place where one works can make all the difference. If one is employed where the prices are higher and/or where there is a wealthier clientele, getting bigger and more frequent gratuities is almost a certainty. How much can a bartender make in a decent casino? Kopczynski says he makes, "Anywhere from $800 to $1,200 a week depending on events and casino promotions." The Sands Casino Resort also offers health insurance, vacation time, a 401k plan and other benefits. As with many companies, these start after 90 days on the job. Since the bar is open just eight hours each afternoon and evening he is never asked to work extended shifts. Sometimes the guests can be worse than the average bar guest. At a Casino it seems some people are there just to gamble and if they are losing can become quite rude. Others... enjoy themselves the entire time they are there. You never know if someone is winning big, however I have had guests simply toss casino chips at me as a tip. Some chips may be worth $25 dollars--for getting them a beer and wishing them good luck. What does it take to get a job as a casino bartender at a place where there are good benefits and decent pay? Certainly previous experience will help, but not necessarily any work behind any bar. Kopczynski says you probably need experience at a high-volume night club or restaurant to qualify where he works. Speed and efficiency are necessary to keep the customers happy. A dishwasher or bar-porter may want to look into being a server first as it seems that would get them more accustomed to dealing with the guests and getting used to the constant demands of the position. Also, from my experience the servers are the first ones to move up should a position open. 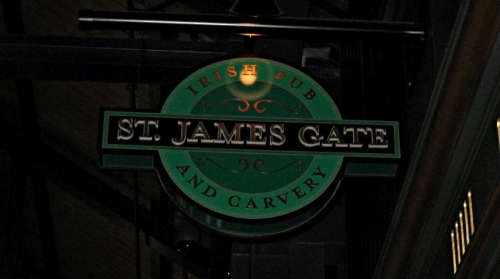 Michael Kopczynski thinks he has good job security at the casino, and says, "I could very well spend the rest of my bartending career right here at St. James Gate." But having worked in the industry for years, he also knows it's always possible to find another bartending position if necessary.